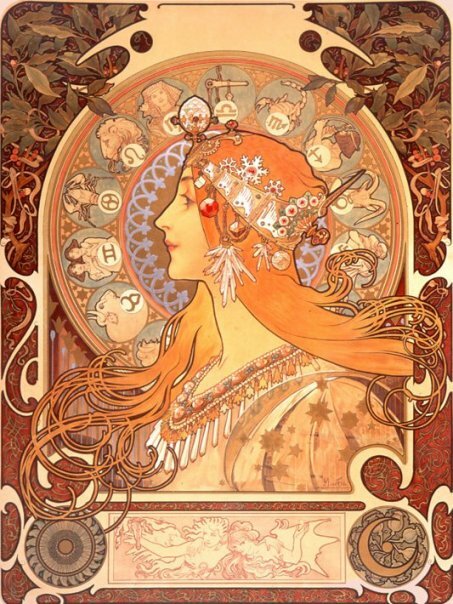 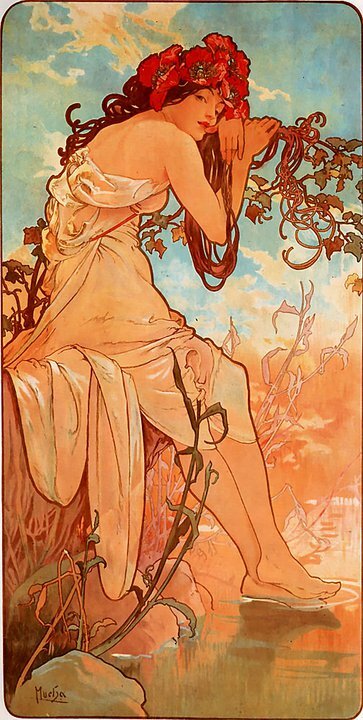 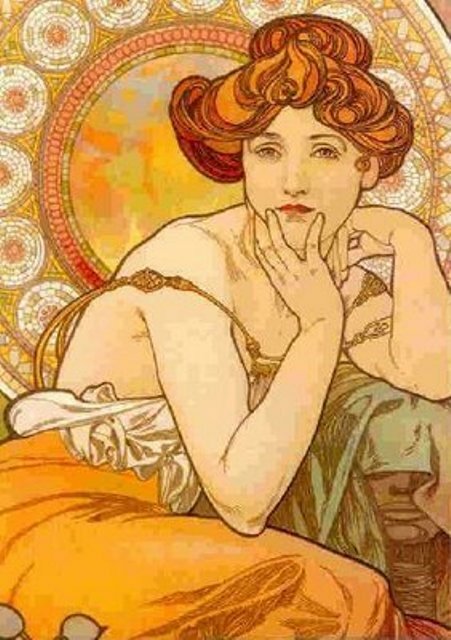 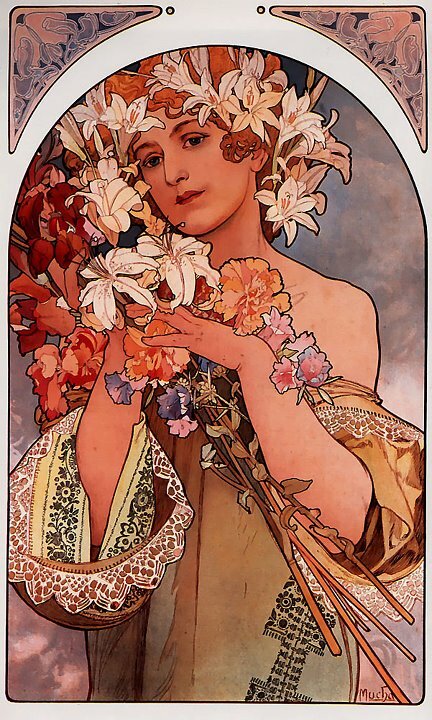 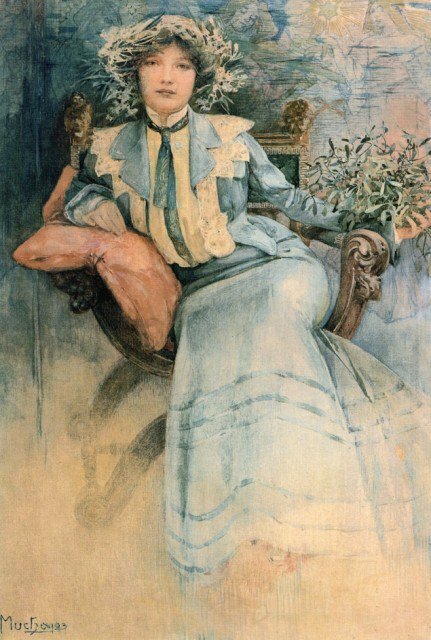 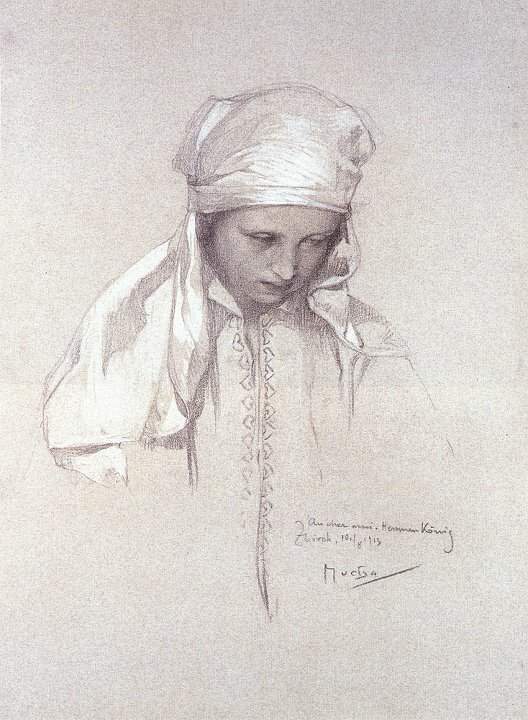 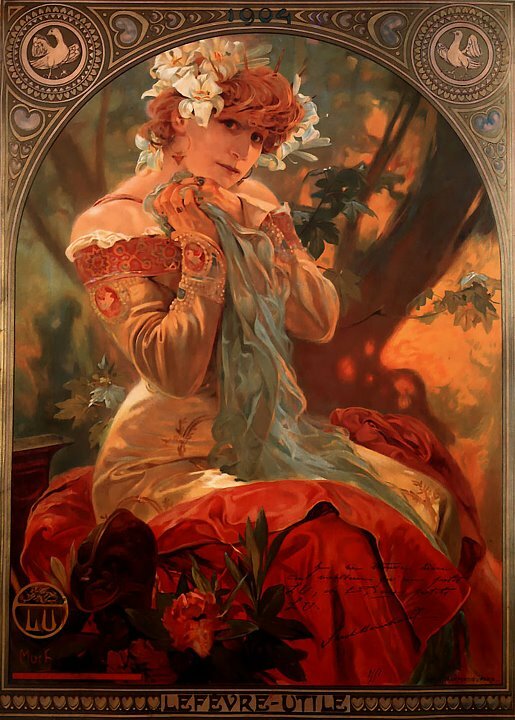 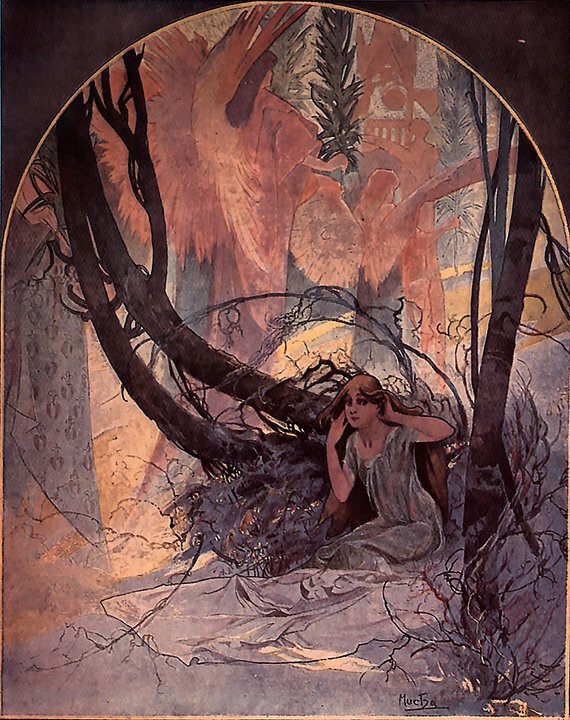 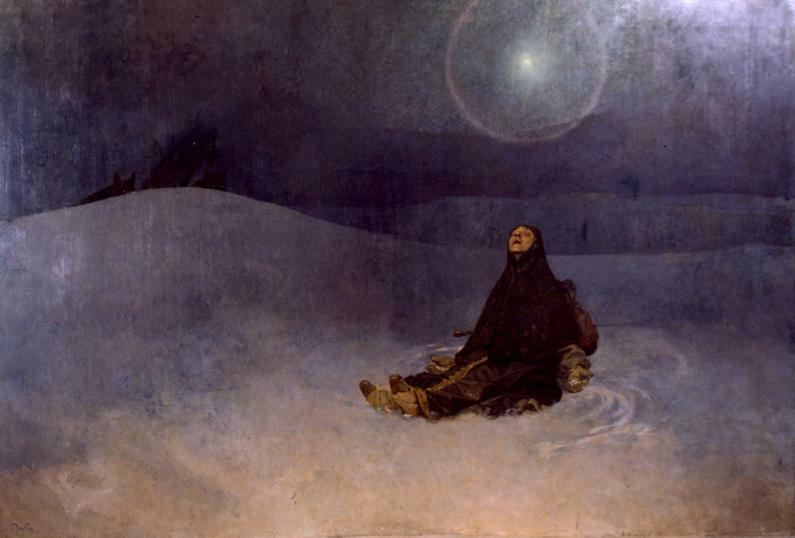 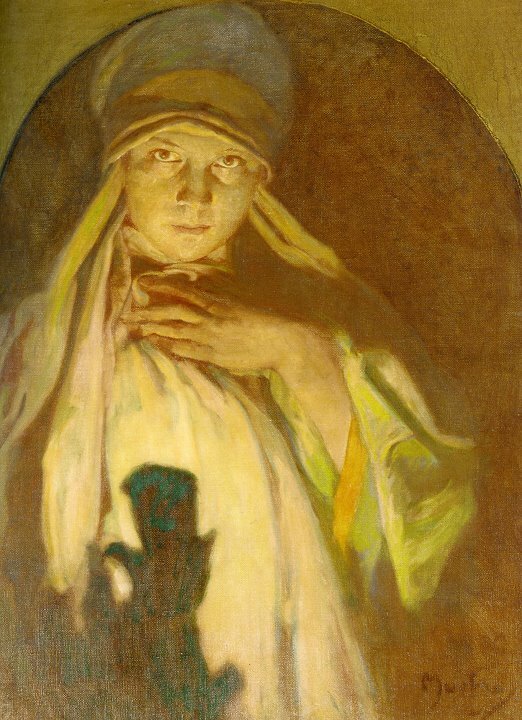 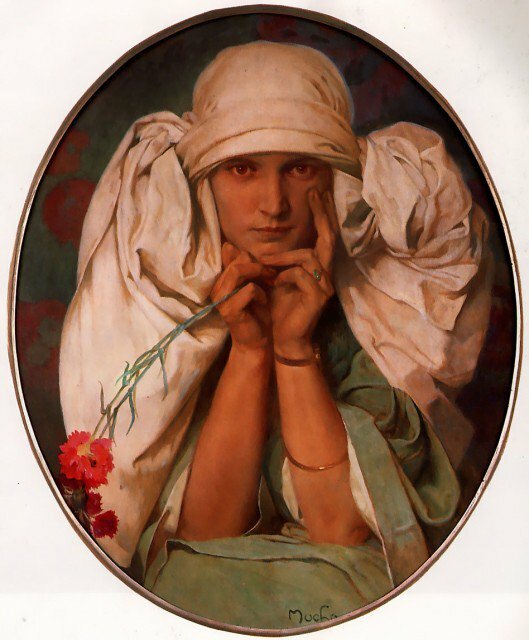 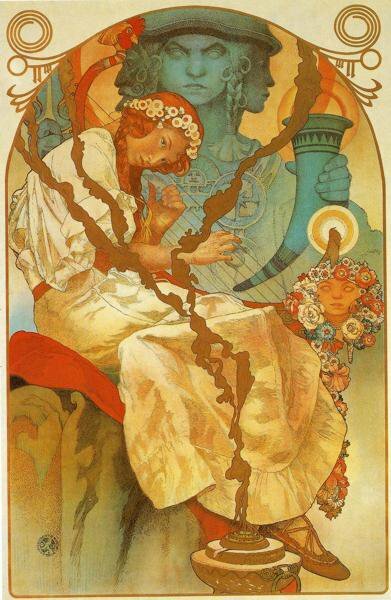 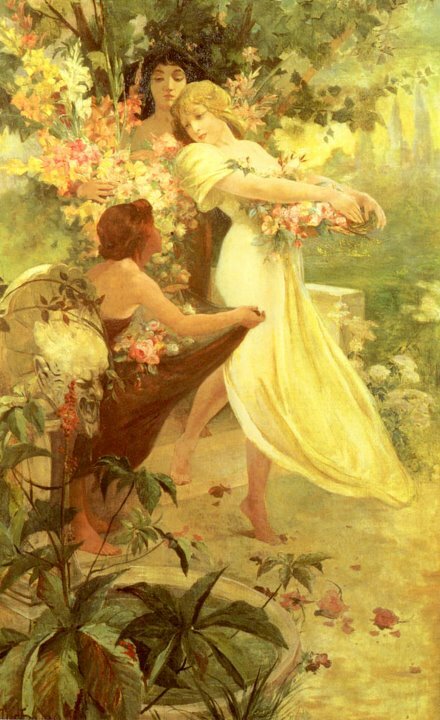 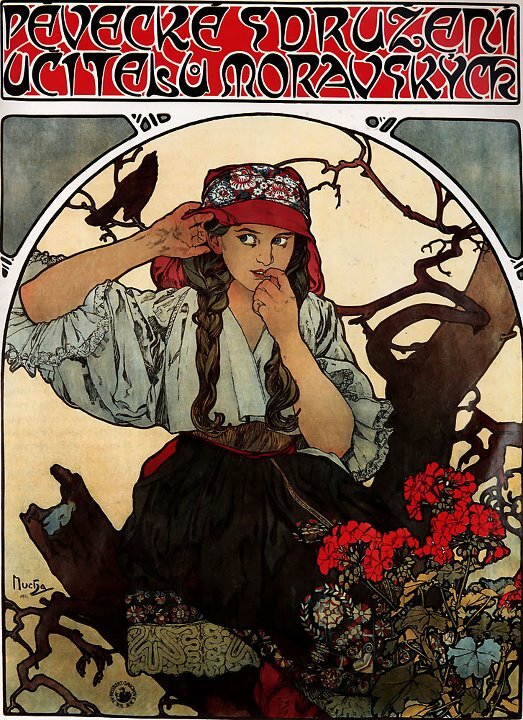 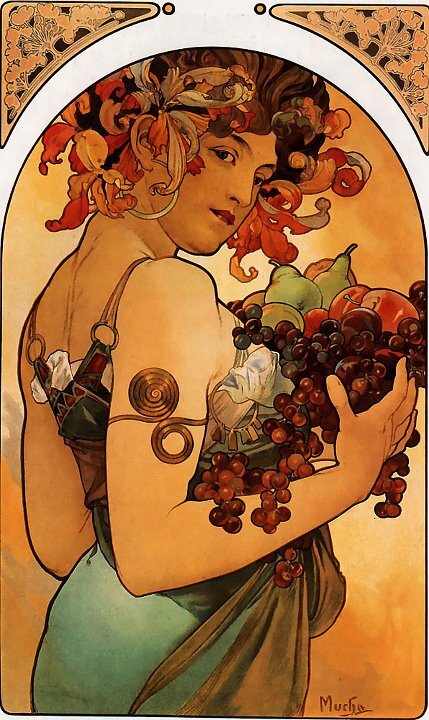 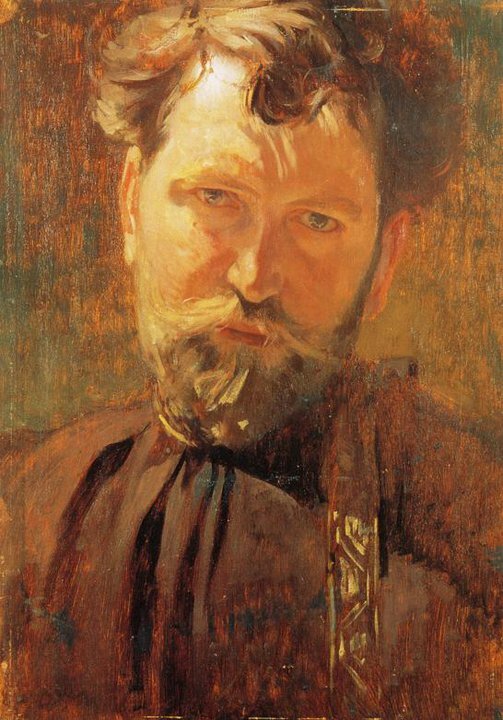 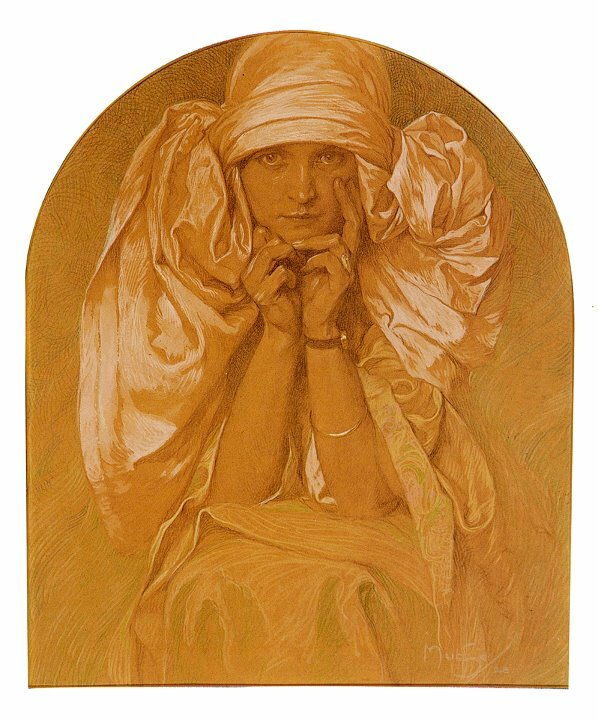 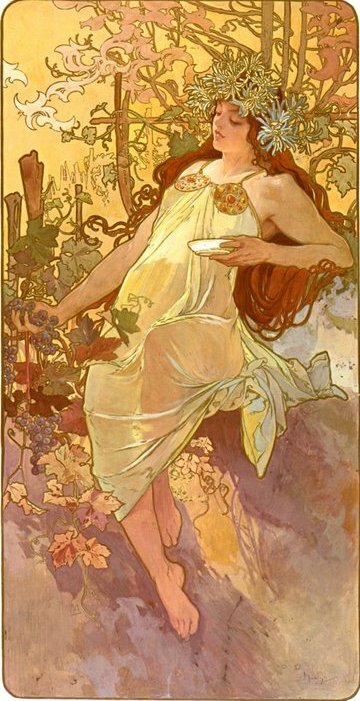 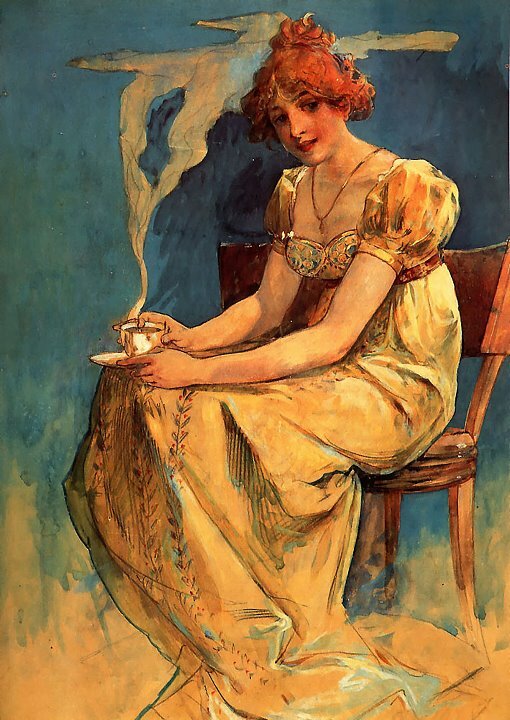 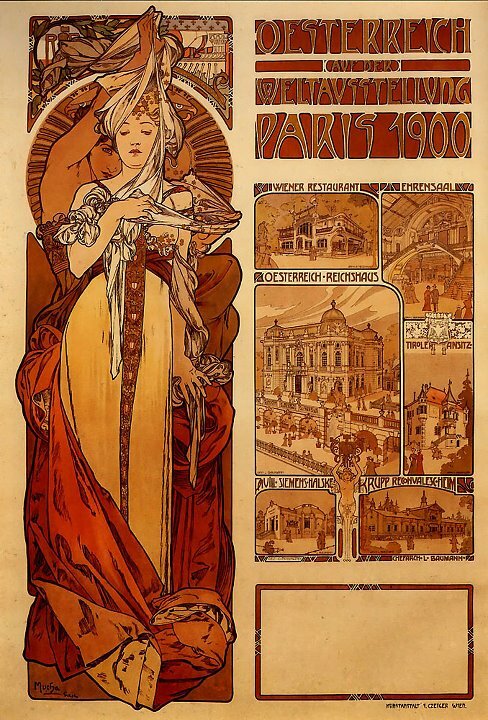 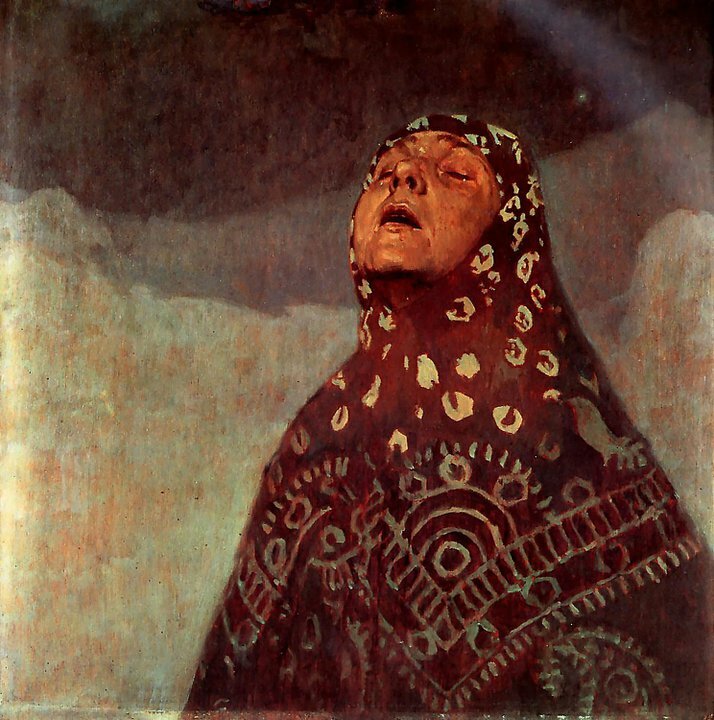 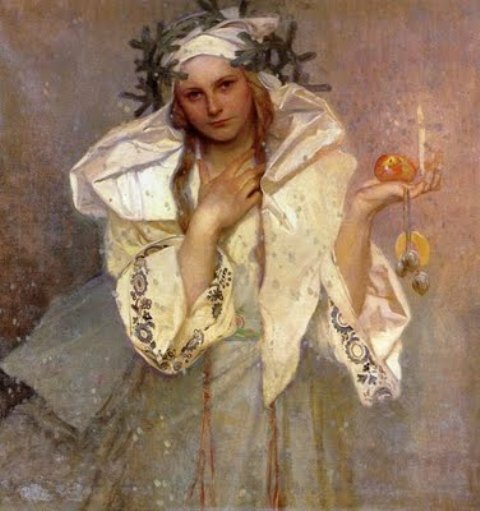 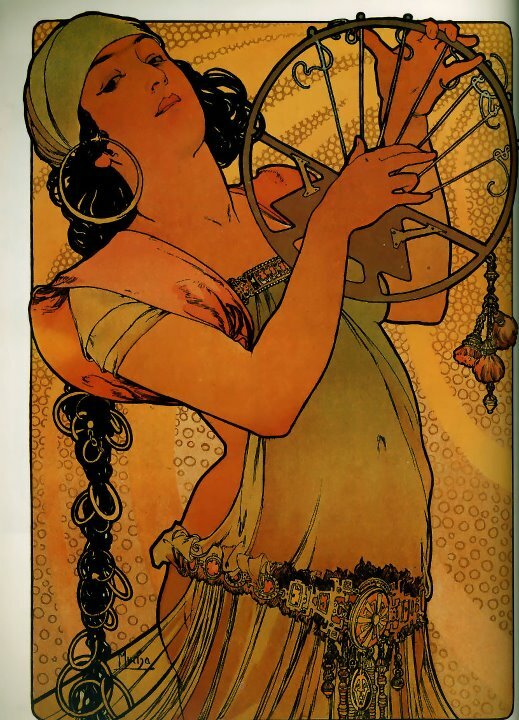 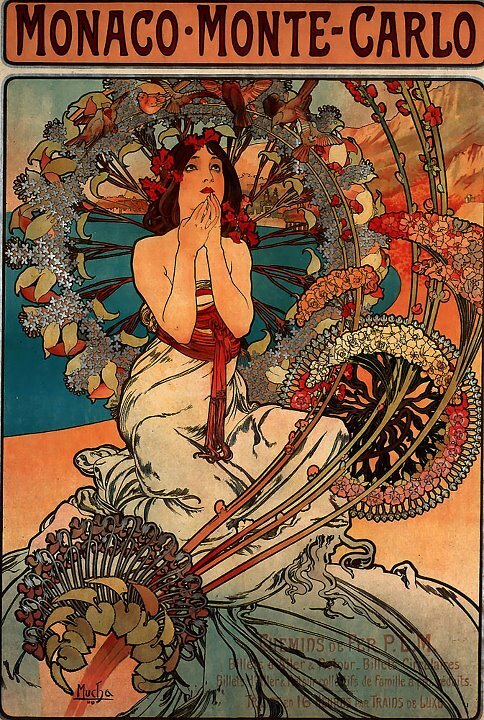 Alphonse Mucha was born in what is now the Czech Republic in 1860 and moved to Paris in 1890 where he became the star of the poster-art movement under the patronage of the Sarah Bernhardt. 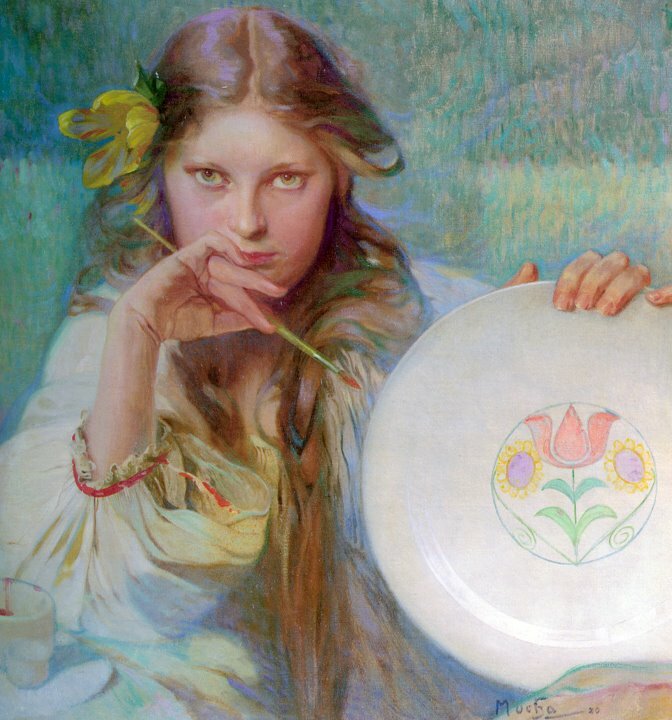 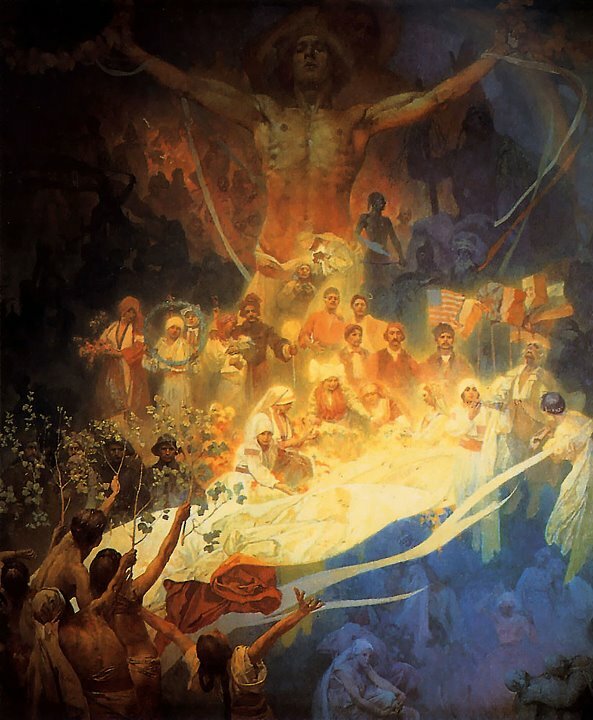 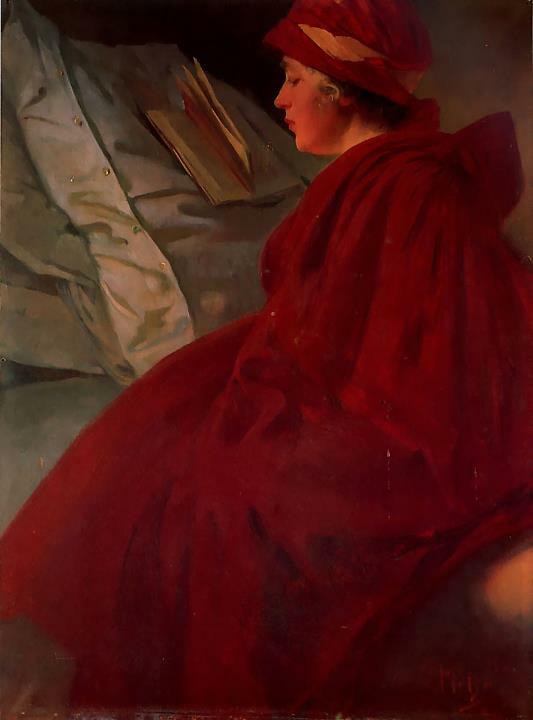 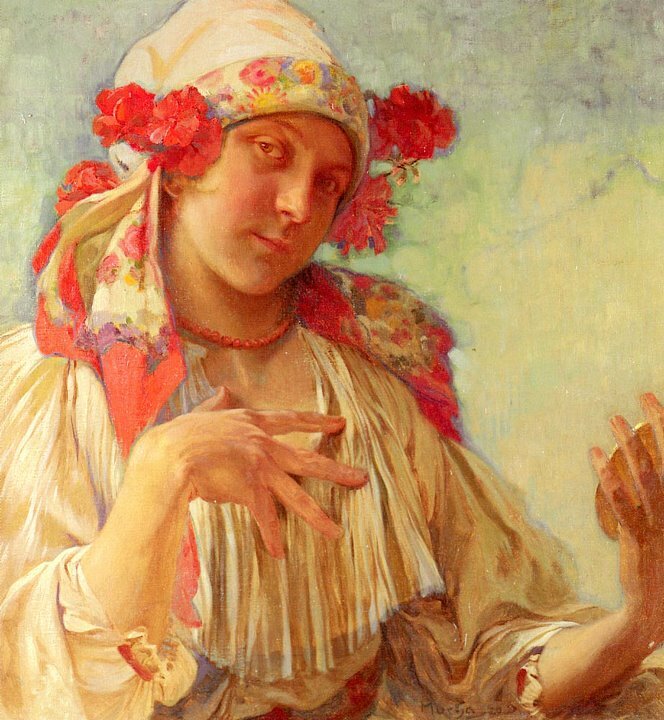 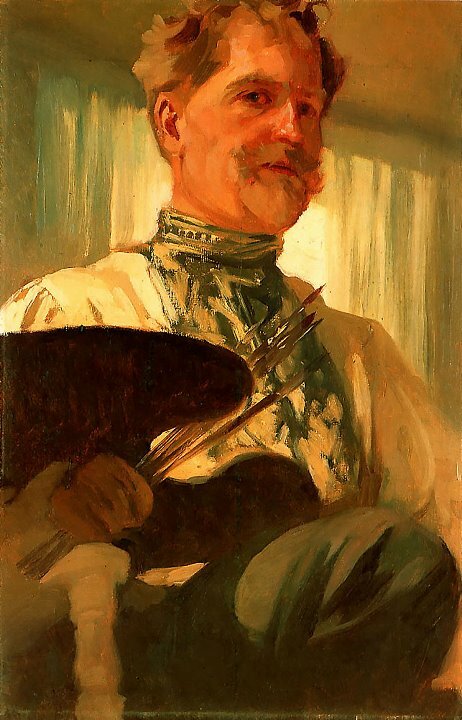 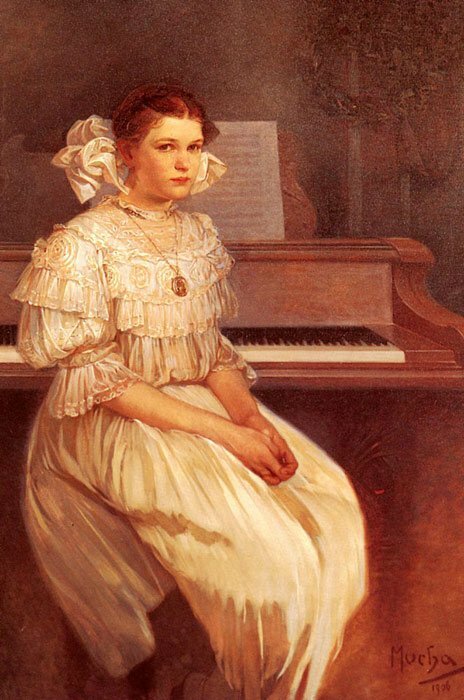 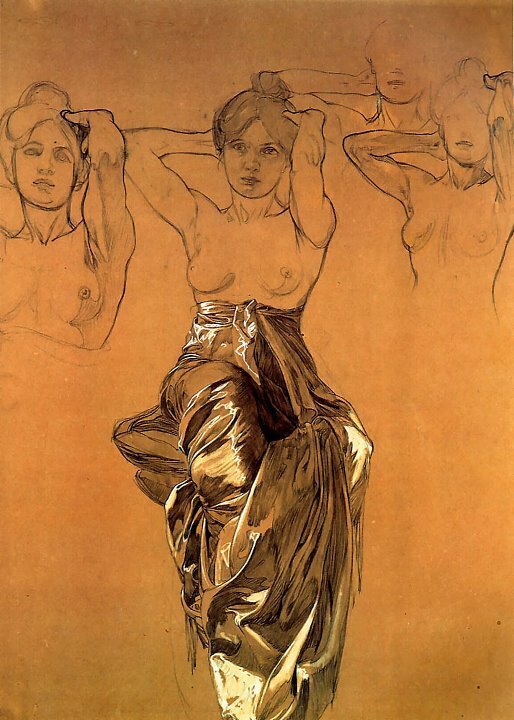 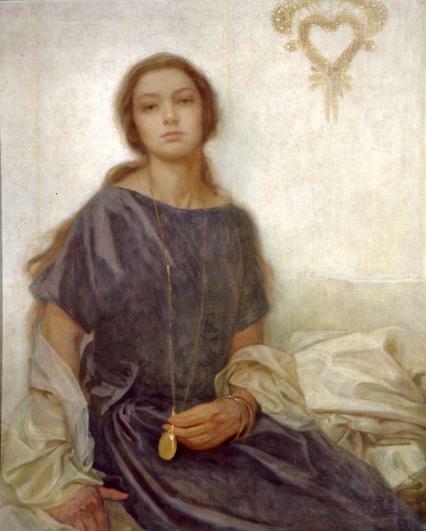 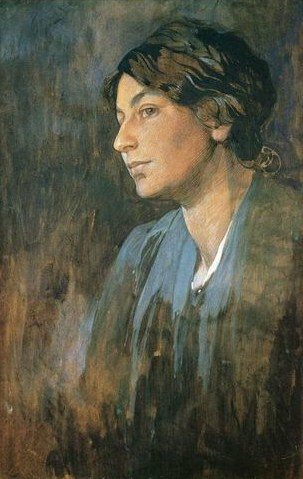 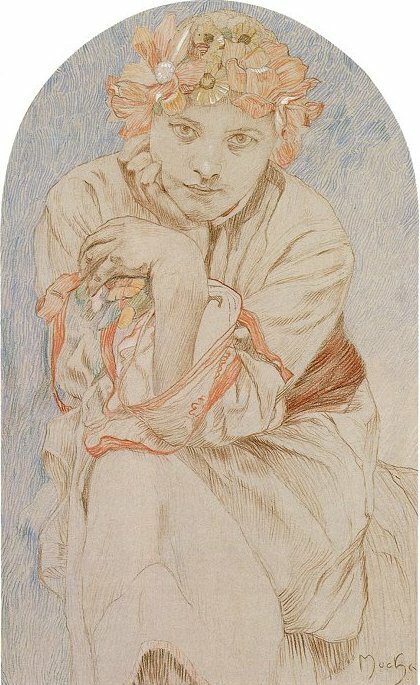 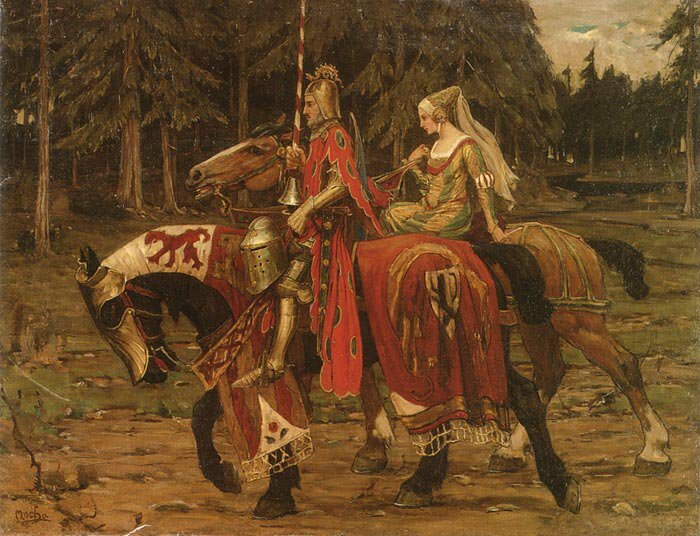 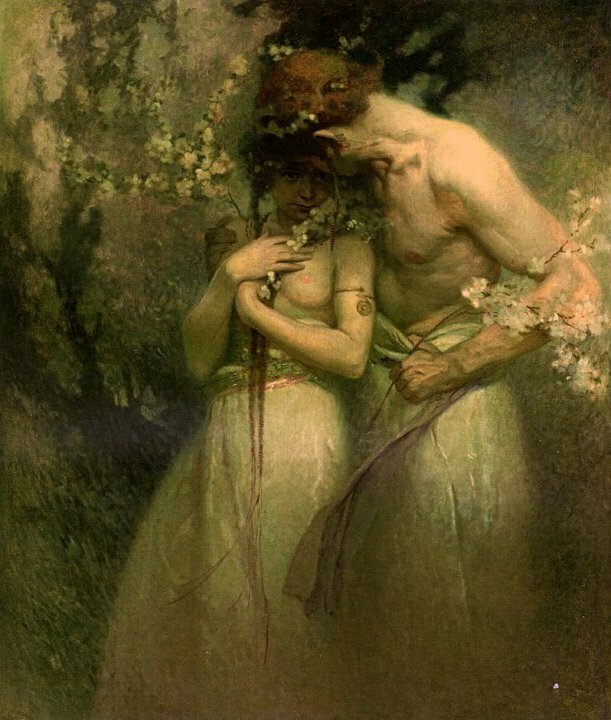 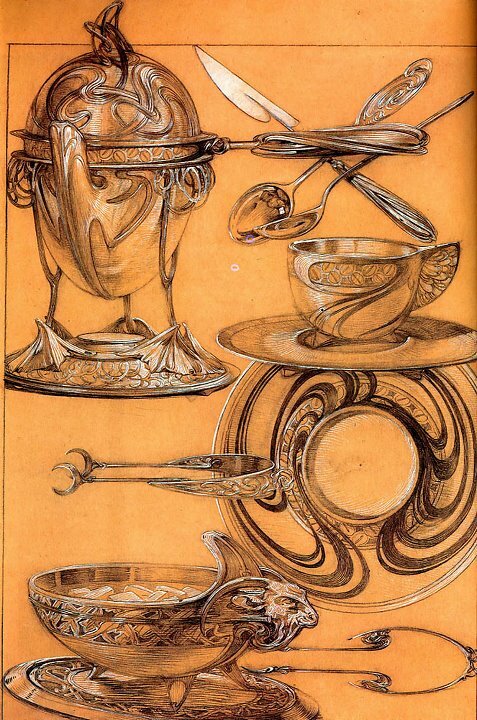 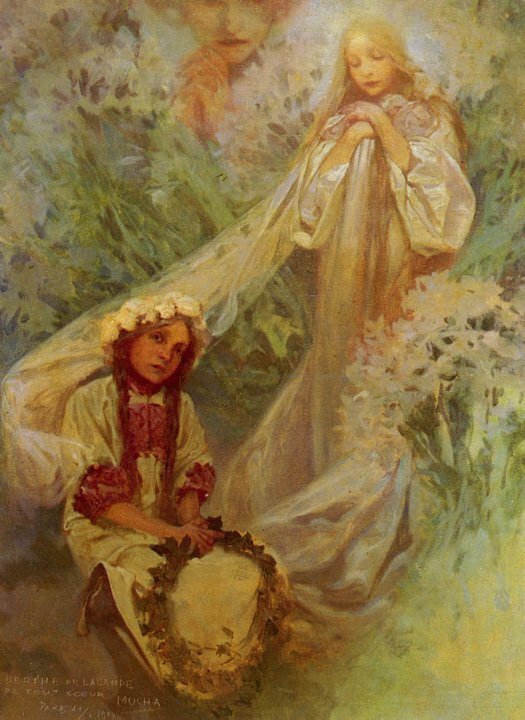 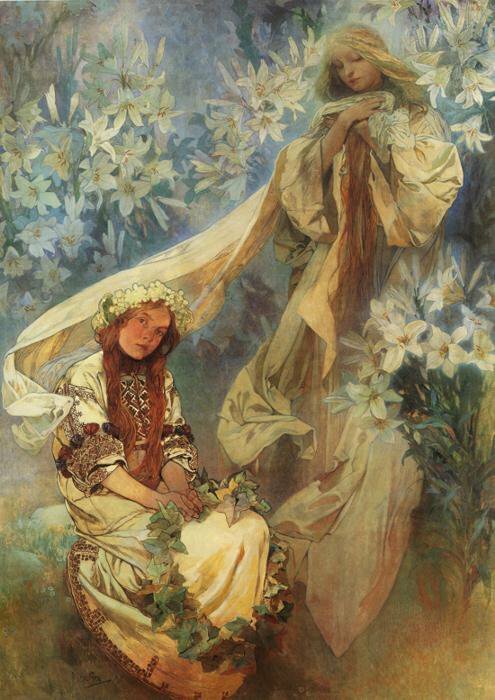 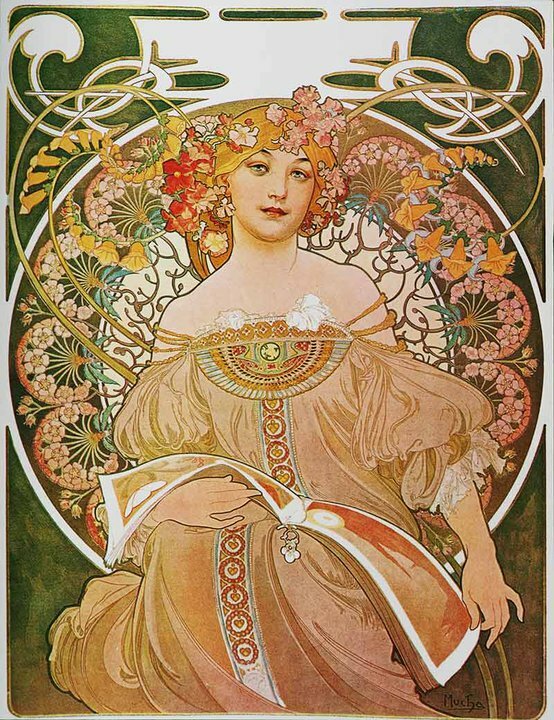 After World War I he returned to Czechoslovakia and became the father of a slavic arts and crafts movement which combined elements of art nouveau with classic national themes. 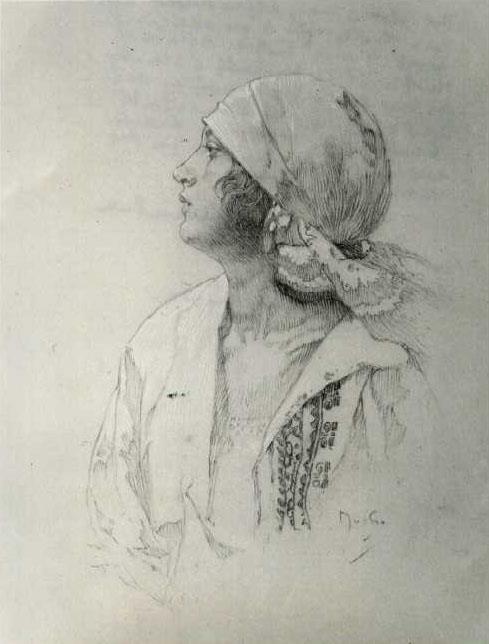 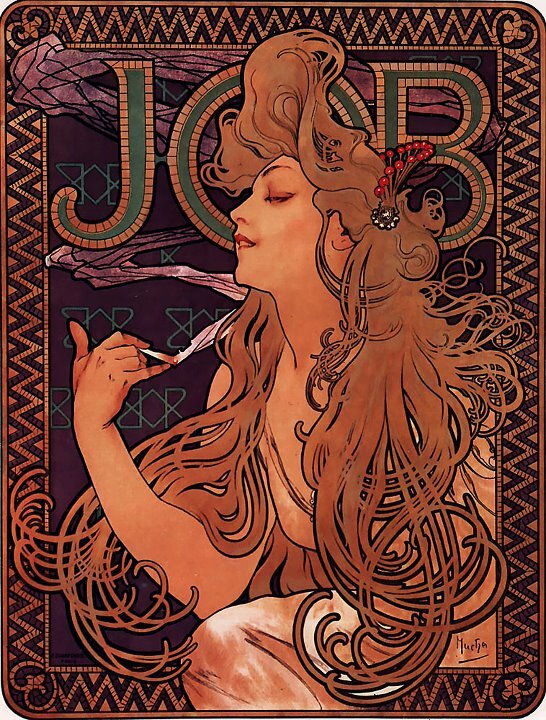 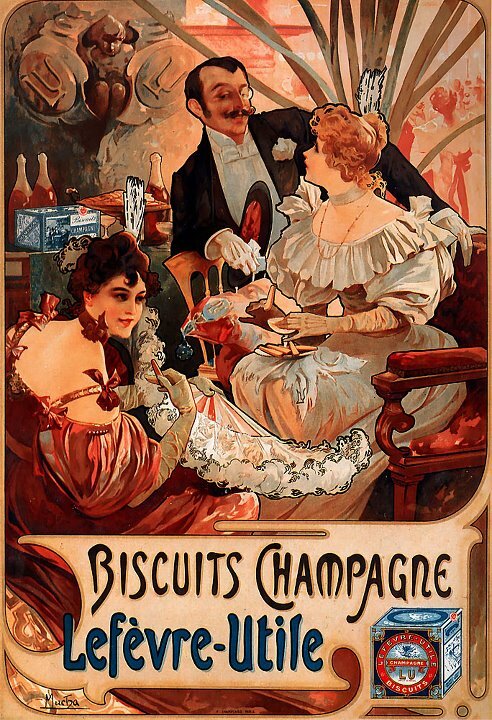 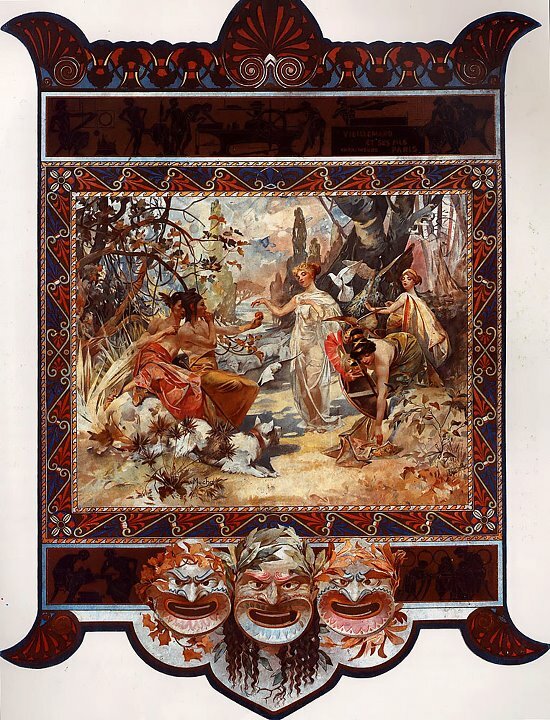 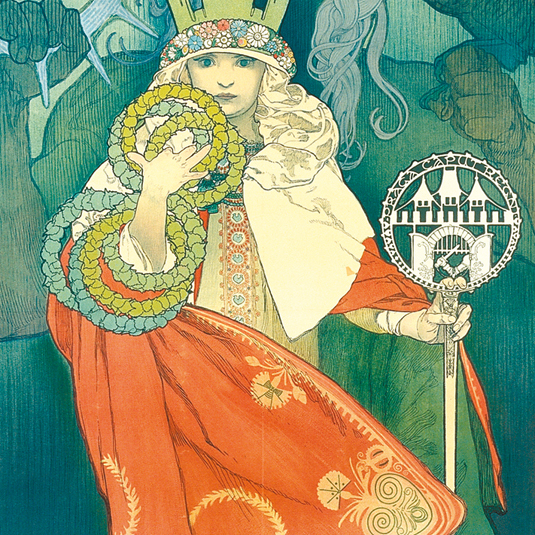 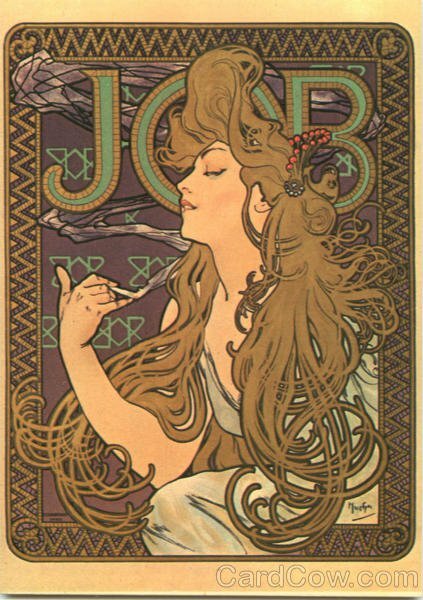 In addition to commercial art, jewelry design, interior decoration, sculpture and stage design, Mucha experimented with lettering and calligraphy to produce excellent source material for unique typefaces. 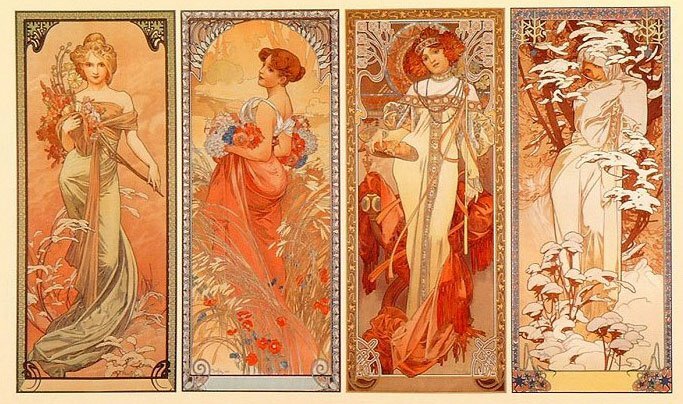 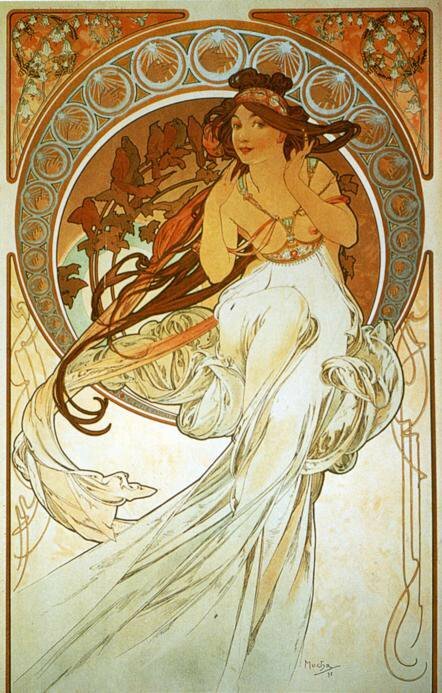 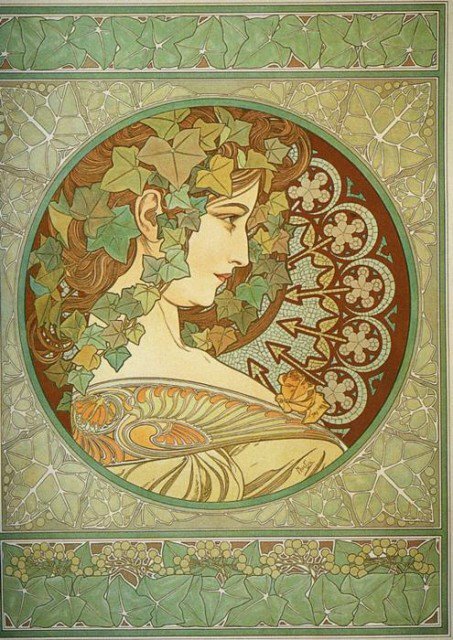 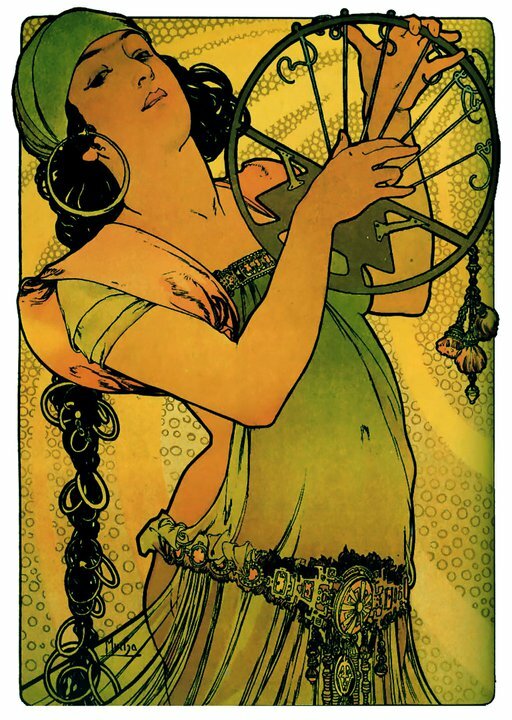 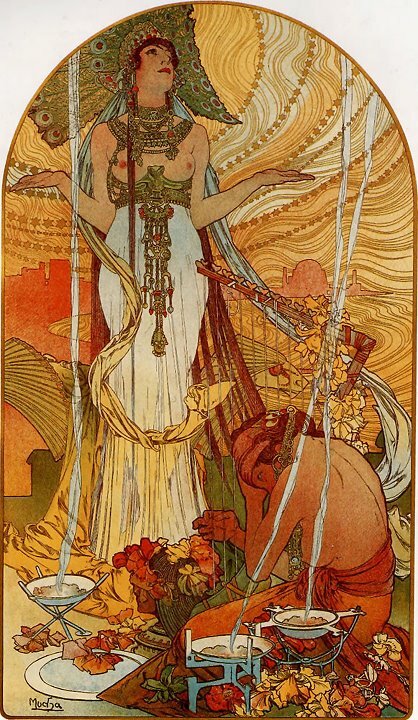 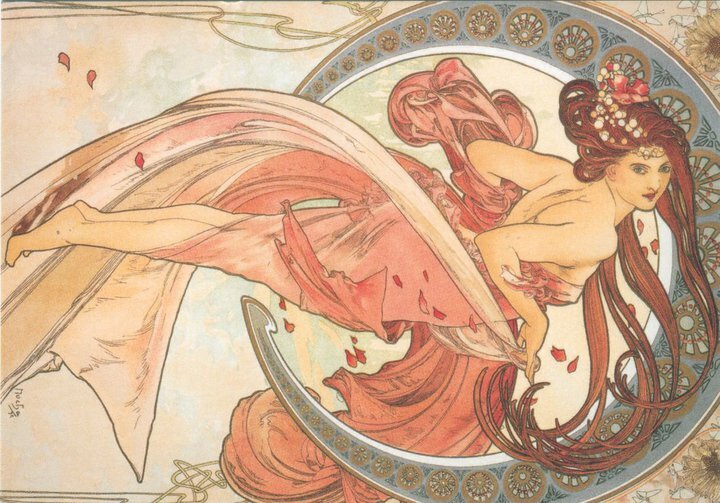 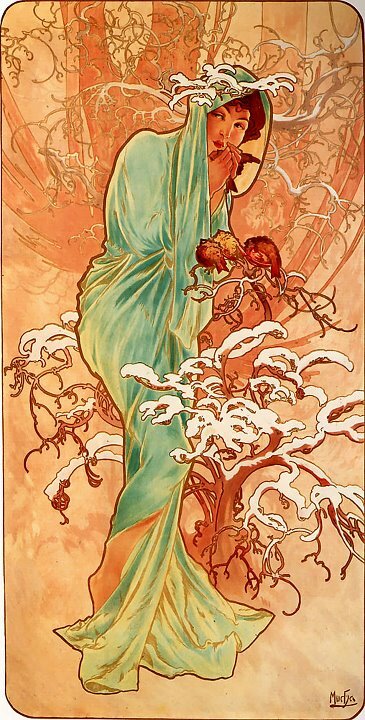 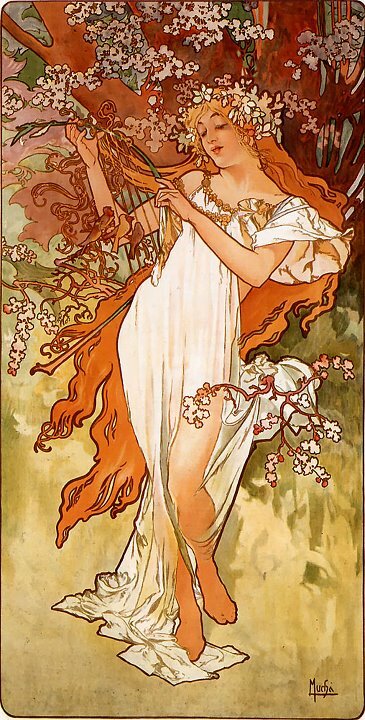 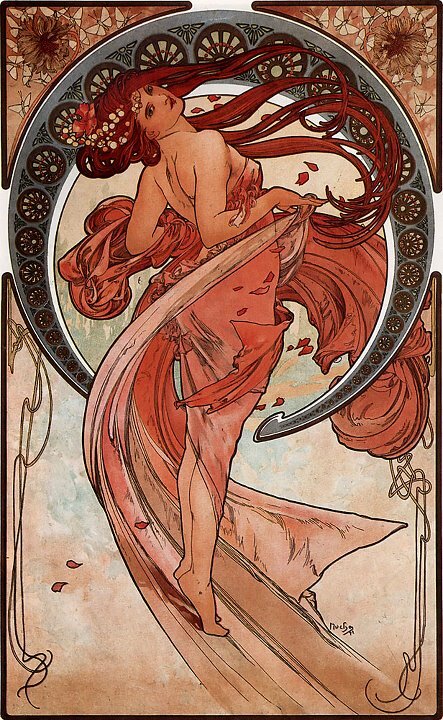 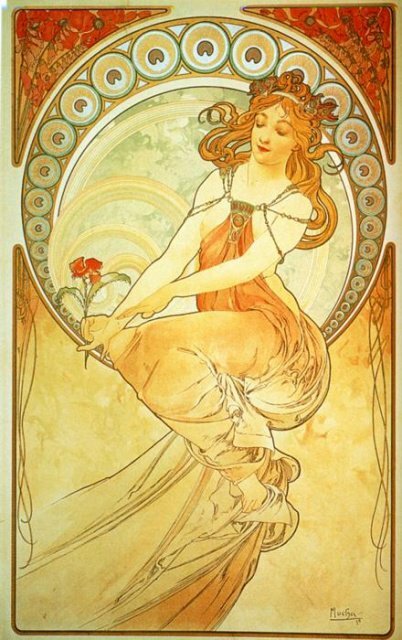 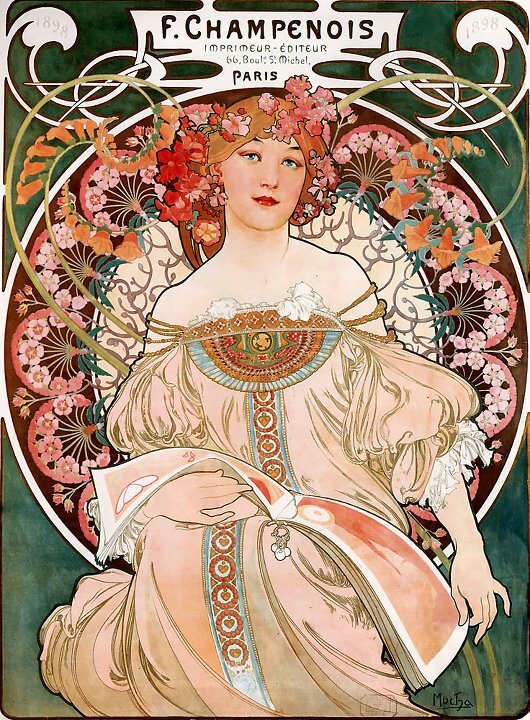 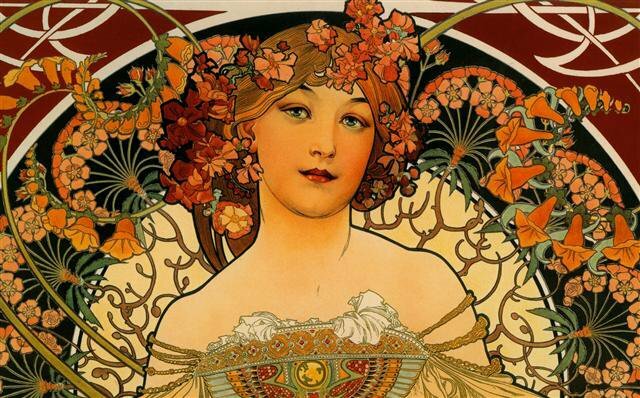 Mucha's style is virtually synonymous with French Art Nouveau and he is one of the most imitated artists and designers of all time.